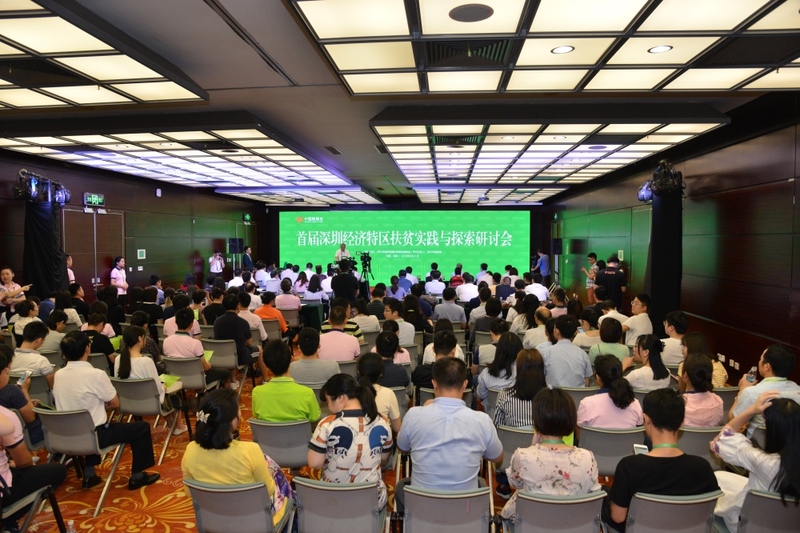 In the morning of September 21, the “First Shenzhen Special Economic Zone Poverty Alleviation Practice and Exploration” Seminar hosted by Economic, Trade and Information Commission of Shenzhen Municipality (City Counterpart Office) and Shenzhen Civil Affairs Bureau was held at Shenzhen Convention and Exhibition Center. 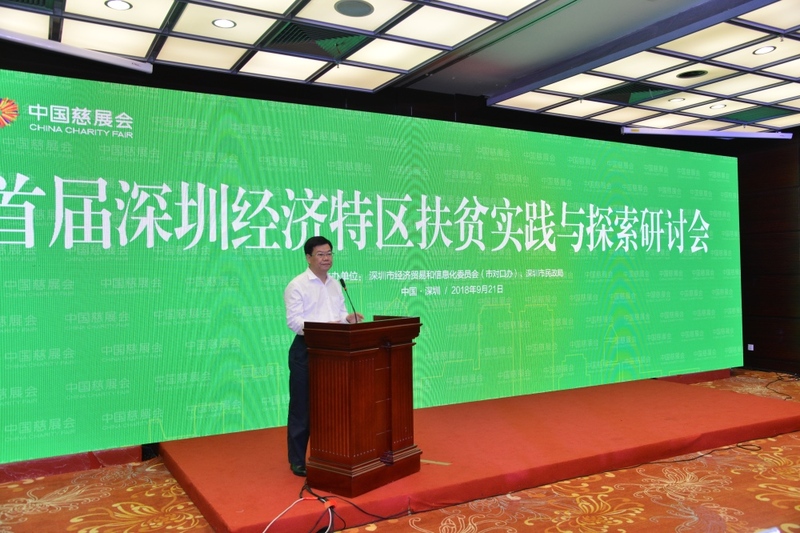 Qu Tianjun, Inspector of the Social Poverty Alleviation Department of the Poverty Alleviation Office of the State Council, Liao Jikun, Director of the Guangdong Provincial Old District Construction Office, and Huang Min, Deputy Mayor of Shenzhen, attended the seminar and delivered their speeches. Qu Tianjun fully affirmed the practice and exploration of Shenzhen's east-west poverty alleviation cooperation and its practice of early riches help to less privileged. Qu Tianjun emphasized that it is necessary to study in depth the important expositions of General Secretary Xi Jinping on poverty alleviation, further unify thoughts, improve political standing and awareness, and implement targeted poverty alleviation strategy. It is necessary to focus on key issues, give full play to the advantage in east-west poverty alleviation cooperation, strengthen industrial cooperation and labor cooperation, highlight talent support, and effectively improve the work level. It is necessary to give full play to its own advantages and widely mobilize social forces to participate in poverty alleviation and form a collaborative assistance force. 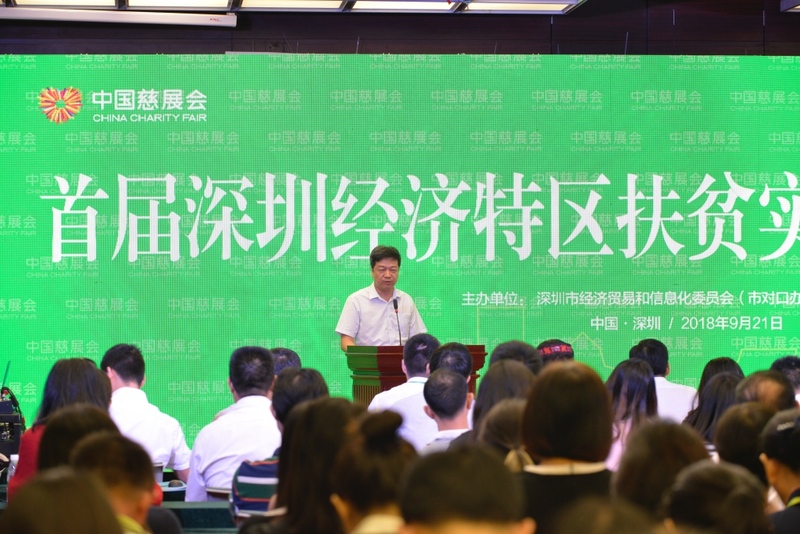 Huang Min pointed out that in recent years, Shenzhen has always adhered to the special zone concept of "Grateful to Reform and Opening Up, Returning People of the Whole Nation", consciously transformed its first-move advantages into the first-move responsibility, and mobilized the whole city's efforts to resolutely implement the central and provincial government’s poverty alleviation work. At present, the poverty alleviation work has entered the stage of solving critical issues. By taking Xi Jinping's socialism with Chinese characteristics in new era as the guide, and in accordance with the spirit of the 19th National Congress of the Communist Party of China and General Secretary Xi Jinping's important exposition on poverty alleviation, Shenzhen will continue to take the lead in targeted supporting work and provide the Party and people with satisfactory results on counterpart assistance. 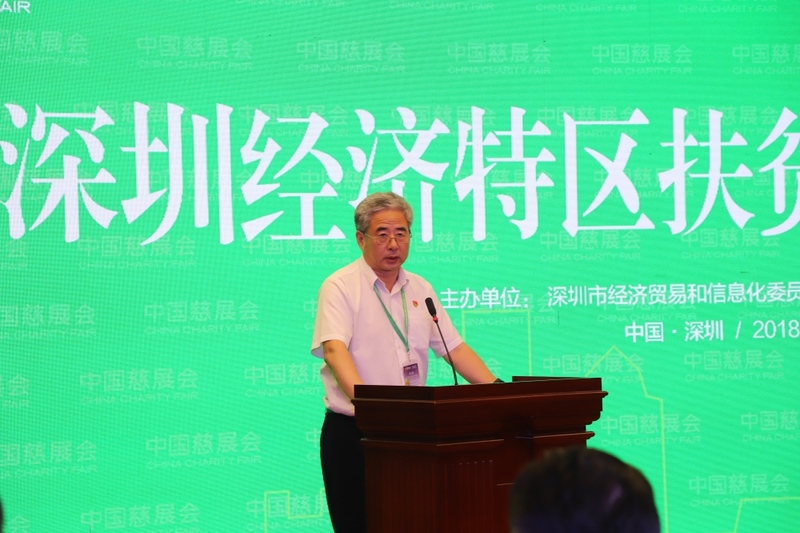 Liao Jikun said that Shenzhen's fund investment, talent support, social assistance and work innovation in the province's targeted poverty alleviation and east-west poverty alleviation cooperation has taken a lead in the province. It is hoped that Shenzhen will continue to play the role of a “Charity City” and make new contributions to poverty alleviation in the province. The meeting invited Yang Shengjun, Leader of the Second Poverty Alleviation Collaboration Working Group of Guangdong Province, Wang Wei, Chief Commander of Shenzhen Counterpart Assistance Heyuan Command, and Li Xiaoyun, a professor of China Agricultural University and a member of the Expert Advisory Committee of the Poverty Alleviation and Development Leading Group of the State Council to deliver themed speeches. Representatives of grassroots cadres from Shenzhen’s counterpart regions, such as Tashkurgan Tajik Autonomous County in Xinjiang and Chayu County in Tibet, shared the achievements in poverty alleviation and urban and rural construction under Shenzhen’s assistance since the 18th CPC National Congress, and expressed their gratitude for the CPC and determination to follow it. Representatives of the supporting institutes in the relevant districts of Shenzhen, representatives of the village-residential cadres and leaders of the representatives of the social assistance forces such as Vanke Group, shared their wonderful stories of poverty alleviation, conveyed their gratitude and sense of responsibility in Shenzhen’s poverty alleviation, and demonstrated their determination for greater poverty alleviation achievements through hard work. Jia Xingdong, Director of the Economic, Trade and Information Commission of Shenzhen Municipality, and Chen Wenqing, Deputy Director of the Shenzhen Civil Affairs Bureau, attended the seminar.